The top scorer in the final clash was Lonneke Slöetjes of the Netherlands with 19 points, while Anne Buijs added 16 kills for the winners. The superiority of the Oranjes rapidly silenced the 3,095 fans in Lublin’s Globus Hall - the Group 2 win was more than deserved, as the Dutch Women completed a flawless record of eight wins from eight Grand Prix matches. After winning the final, everyone wanted a piece of successful coach Giovanni Guidetti, who took up his position at the start of the season. The coach spoke to everyone after the victory, but actually wanted just one thing: a beer with his staff and team. “Because my team played so well tonight. I have great respect for them.” Beaming with pride, the Italian explained why he has so much respect for his team. “Winning is very important for this team. We all started together on May 18 and have not had much time to rest since then. It is now August 2 and we have worked so very hard in the meantime. Now we have won, we know why we have made all these sacrifices. 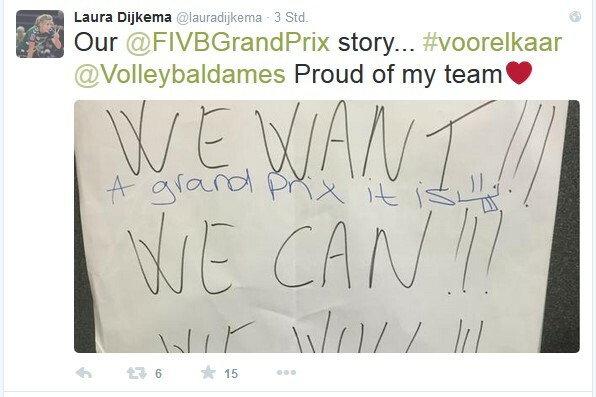 We can do it.” Physically, the towering Dutch ladies were always one of the best teams in the world. 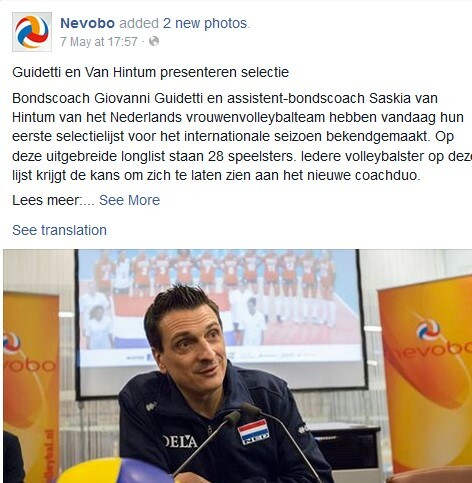 With Guidetti, they have added a better game concept and, above all, a belief in their own ability. After eight successful years in Germany, winning two silver medals at the European Championships, Guidetti, who also led Vakifbank Istanbul to the FIVB Volleyball Women's Club World Championship title in 2013, took on a new challenge. Now the Dutch will be focusing on a European Championship on home soil and, of course, qualifying for the Olympics. “I want the Netherlands to find the courage to win,” the Italian said when he took on his new role. It looks as though the Netherlands, who won the men’s competition at the 1992 Olympics, could be on their way to again becoming one of the world's biggest volleyball nations. The team is assured of playing among the top teams in the world at the 2016 FIVB Volleyball World Grand Prix. “We will play in Group 1 of the World Grand Prix next year. That is important for this team, because if you want to get better, you have to play against the best teams. The matches against the United States, China, Russia and others will show where we stand. But I think this team can be world leaders,” said Guidetti. That position, however, is currently held by world champions USA, who secured victory in Group 1 in Omaha on July 26. The 23rd staging of the FIVB Volleyball World Grand Prix included 28 teams for the second time and ran over six weeks, from June 26 to August 2, 2015. The FIVB World Grand Prix has grown spectacularly since it was first held in 1993, when it featured just eight teams. The increase in the number of participating teams brings with it an increased level of competition and has also helped to spread the World Grand Prix to new territories around the world. This year, Group 3 winners Kenya became the first African team to win a final. The Netherlands are now keen to ensure their name goes down in the history books in 2016 when they play in Group 1.